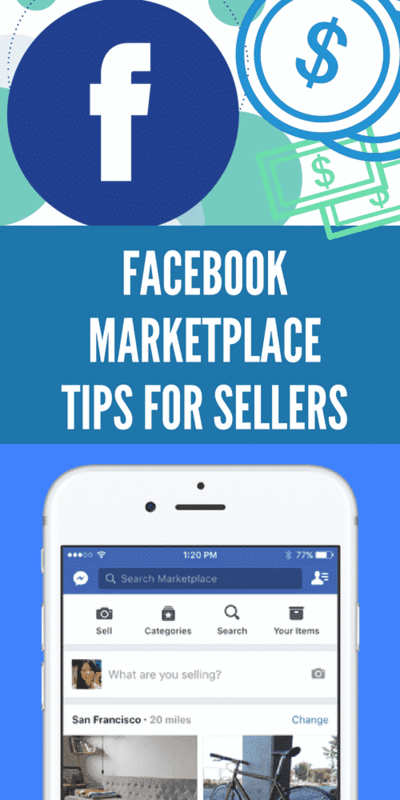 Before you list your first item, here are 9 Facebook Marketplace tips you should read to give you a seller’s advantage. Not every buyer has your best interest at heart. This week, I finally listed and sold an item on Facebook Marketplace. It’s something that I’ve wanted to do for quite some time considering I am an avid eBay seller. Truth be told… I thought there was some sort of learning curve to the system and that prevented me from giving the platform a chance. An oversized printer helped me shake off any worries and FINALLY jump into the digital pool. I listed some goods on Facebook Marketplace and am so happy that I did! The transaction was smooth. The process was simple and the entire turnaround took less than 36 hours. If you have some items that you’d like to sell on Facebook Marketplace, I highly suggest that you do! But before you start listing, here are a few tips to get you started. Believe me, this isn’t rocket science!! But there are a few things that I had to figure out along the way that I wanted to share to help ease your burden. No matter how low you think you are pricing your item, someone will want to pay less. You need to know this right now. That is the nature of the beast! So, be prepared to play hardball with everyone who wants to purchase your goods on Facebook Marketplace. As soon as you list, you will start to receive messages from people asking to give you 20%, 30%, or even 50% less than your suggested price. You don’t have to take their offers! In fact, I usually just write back and say that the offer is non-negotiable and that the price is as stated. You can do what you’d like – but be prepared for garage sale tactics. Yes, stalker status! I don’t care how this sounds, but I look at who wants to meet up with me and see what kind of person they are when I am selling on Facebook Marketplace. What photos are they posting? Are they putting out good into the universe? Would I feel safe meeting up with them? Now – let’s get serious! We all know that our profiles are actually just the best versions of ourselves… so they aren’t even real. But it’s nice that we get to take a peek behind the curtain. I like that Facebook Marketplace allows us to see a little bit of who the buyers are. I know it seems easier to just have them meet you at your house when you are selling on Facebook Marketplace. Odds are that everything would turn out ok if you did. Look, you are a good person. You want to believe that everyone else is just like you. But guess what… that’s not the case. I don’t mean to be rude or to put a damper on reality. I don’t mean to press the negativity button and remind you that there are bad people out there in the world, but there are. Why bring people to your house when you don’t have to? It’s annoying that you will have to lug your heavy printer into your car and drive somewhere to meet the guy who wants to buy it… but do it. Just do it. I know “nothing will happen” if he meets you in your house… but why chance it? Police stations are starting to set up meet-up points that are under video surveillance to protect both buyers and sellers. This is such a great thing for local communities using Facebook Marketplace. Not every community has this in place as of yet. Call your local station and see if they have one in place. My town does NOT, but I know of plenty that do. As of now, my husband and I just personally meet the buyer in a very crowded outdoor mall/shopping center where there are plenty of people. It’s all about going where there is a crowd with Facebook Marketplace. Nice and simple. Like I mentioned, when you list your product, you will begin to receive a ton of messages from a variety of people on Facebook Marketplace. You have to respond quickly because the whole point of the Facebook Marketplace is impulse purchasing. I hate to say it like this, but in the day and age of Amazon Prime, people are used to receiving things immediately. We like to learn about trends, place an order, and then have it on our doorstep before we even hit RETURN. There is no more waiting. Even for information, right? Siri has crippled the ability that we once had… called patience. It’s NOW NOW NOW. If someone finds your product and they decide that they WANT IT and you don’t get back to them for a few days… they will just go and buy a new version of it. Plain and simple. So, when you do decide to list your item, commit to checking your phone frequently for the next 24 hours until it sells. Make sure that you have a FIRM price before you meet. I know I mentioned this before, but be absolutely certain that you know your price is set before meeting up. The last thing you want to do is take time out of your life to go and meet someone to have them try to shave $15 off the top once you two are face to face. THE WORST! And to AVOID any issues, be sure to go with CHANGE. So, for example, if you are selling something for $50… bring a $10 because if someone shows up with (3)$20… you don’t want them to say that they can only give you $40 since you don’t have any change for $60. People are evil. Bring the $10. Be two steps ahead of them – always. Does that sound like I am a miserable person? I’m sorry. That’s how I think. I can’t help it. But you know what? You DON’T think like this – so I am saving you. You’re welcome. It’s good to personally know a jaded New Yorker. We are good for something!! If you don’t want to keep getting emails, be sure to mark your item as sold once it is off the market. No more messages! Yeah!! If you are reading other blogs, they are going to tell you to take the crispest, brightest, cleanest, most professional photos ever. And I suppose that is the best way to do it… but you don’t have to. I’m sorry other bloggers! But it’s true. It would help! I’m not saying it wouldn’t. If you have the time – of course – do it! But don’t go crazy for Facebook Marketplace. This is for eBay too. Everyone is going bananas about the photos and I’m in my basement with low lighting putting everything up as fast as I can. You know who makes the most money? The people who actually list. If you are not listing because you are so nervous about not having the best photos – then you won’t earn. Don’t let photos deter you. List as you want to list. Don’t worry! I never let the quality of photos kill my vibe. 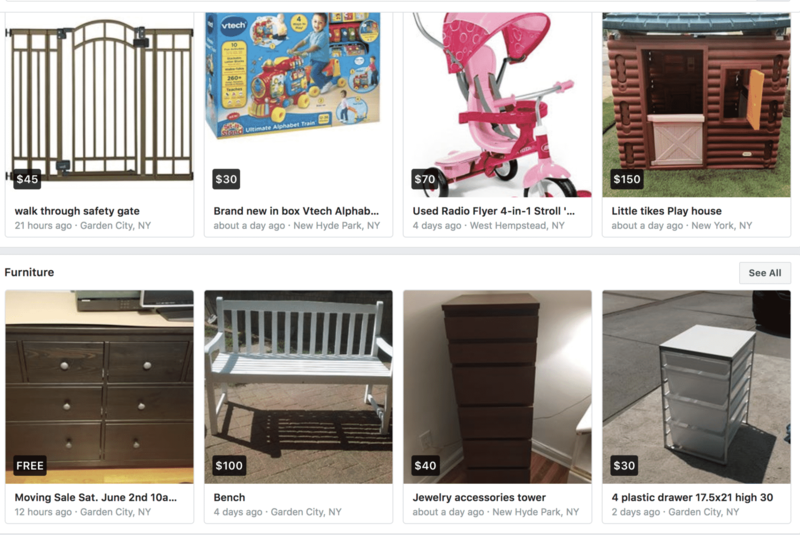 I show as much detail as I can for each product (eBay or Facebook Marketplace) and I make sure I describe any issues – ( visually or textually) and I call it a day! Those that LIST earn. Remember that. As soon as you finish reading this post, you should pick up your phone and literally list something. I hope that this has helped you figure out Facebook Marketplace in some way! I hope that you look at your house and find at least 5 items that you can part with. There is so much money in your house. Within ARM’S REACH!! We WASTE so much money these days. We have to stop. Fast fashion kills retirements. At 40, I had an awakening. It’s time to start thinking about how I want to spend the rest of my life. Do I really need that throw? That pillow? That serving platter when I have 7 more? It’s disgusting if you think about it. List everything you don’t need and stop shopping. My goodness – STOP SHOPPING. Save that money and think about all the beautiful things you can do with it in 20 years. We have a future to save for!!! Do you list on Facebook Marketplace? Have any tips you’d like to share?